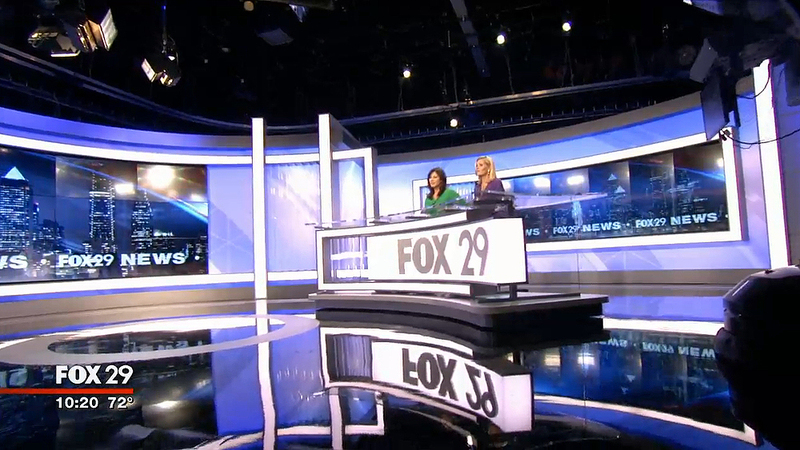 Philadelphia’s Fox 29, WTXF-TV, unveiled its new home Monday, along with an 11 p.m. newscast. The design, from FX Design Group, features sleek curved elements that combine with backlit LED graphics and multiple monitor walls for a flexible space. 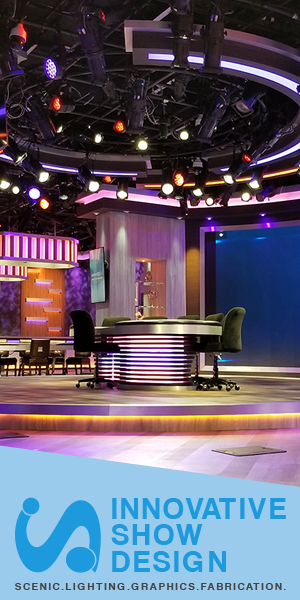 FX Design Group fabricated the studio and provided lighting design for the Fox O&O station, with technology integration by AV Design Services. 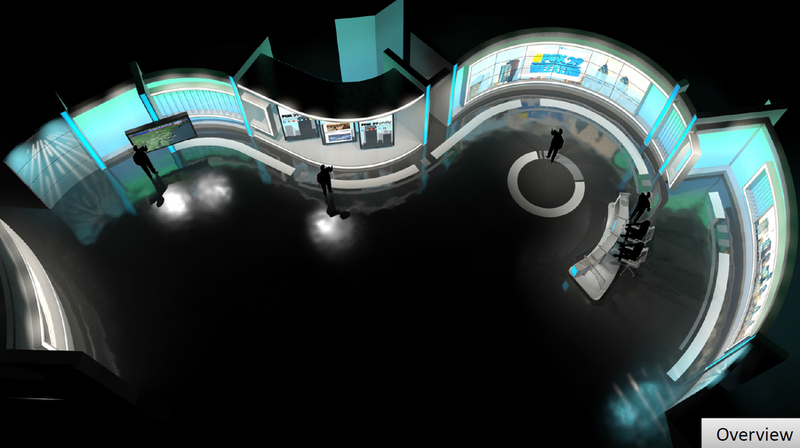 Rendering of main anchor area. 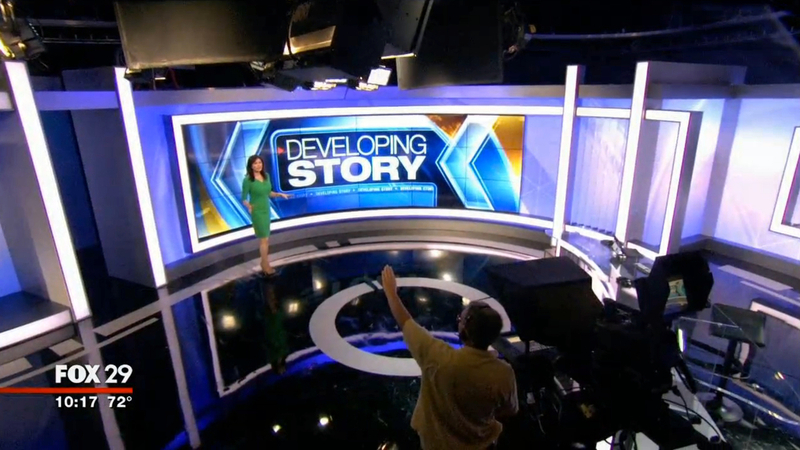 The sets curved anchor desk is framed by a backlit element and is capable of being used sitting or standing by talent. Bold Fox branding fronts the desk, which is positioned with a curved monitor wall of six Philips BDL5588XL in portrait mode behind. 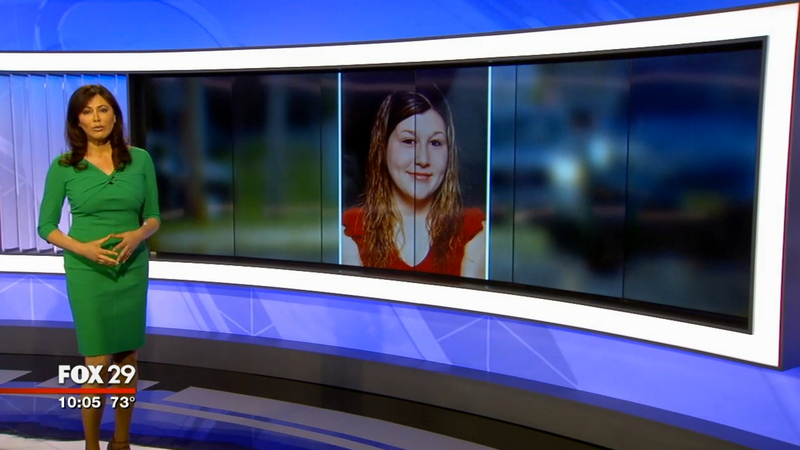 Plexiglass blades repeat in the desk and wall frames, creating a unique look on-air that provides depth while also allowing the patterning through. A floating frame connects the anchor area to a second 6x 3 video wall, made up of Philips BDL4777XL seamless displays, with multiple backlit columns flanking the space. Floor graphics create a “home base” for talent in front of the wall and follow the curves of the studio. The design also includes a social media area, which uses three vertical Philips BDL8470EU 4K monitors and is located to the left of the large monitor wall. Birdseye view rendering of studio space. An 80″ Samsung touchscreen rounds out the technology, backed by plexiglass blades and backlit graphics. The various studio studios monitors are controlled through Avid’s TD Control system, allowing flexibility in graphics and fill. 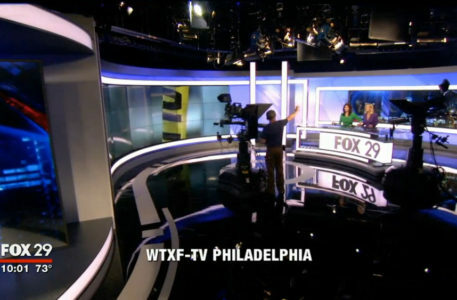 On-air, WTXF-TV uses a jib camera to create movement during its newscasts, showing off the studio space for toss shots and reopens. 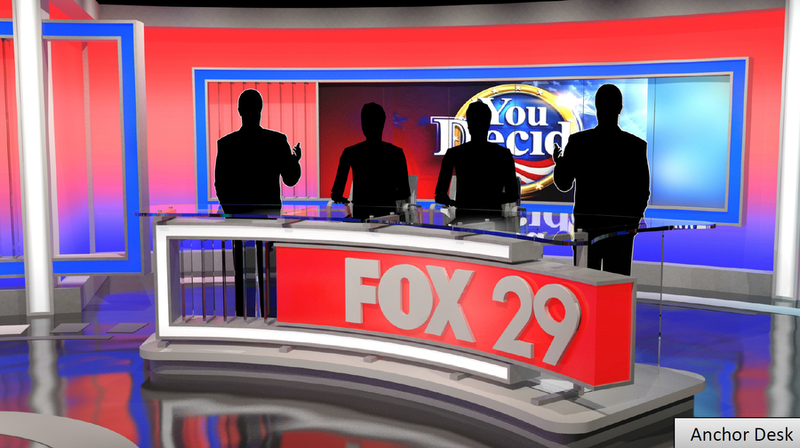 Overall, the elements combine to create a distinctive look that follows the Fox brand standards, providing the station with multiple venues and options on-air.